Great news for all readers! 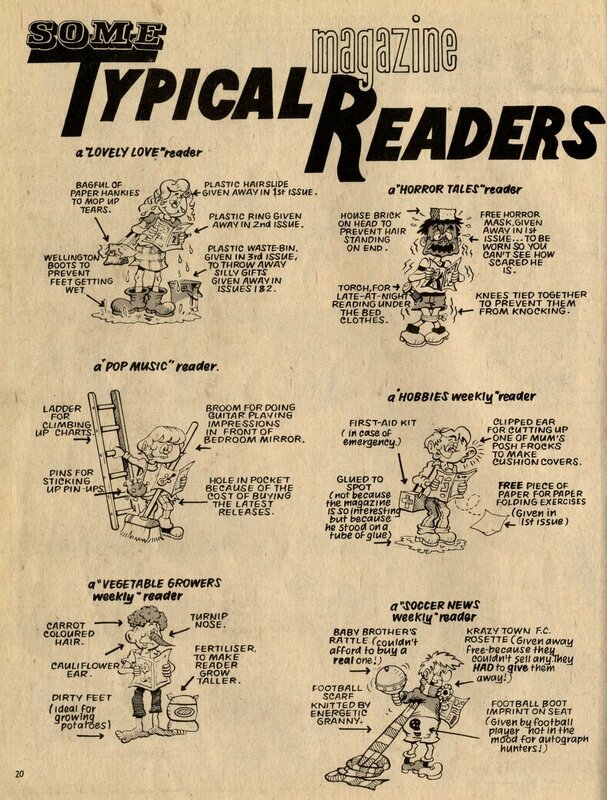 Well, great news for Whizzer and Chips readers at least. For readers of Krazy, not so much, as this was their final issue before the comic would be folded into W&C the following week.‬ There’s something rather perverse about this cover: come spend your 8p for us to tell you the party’s over! 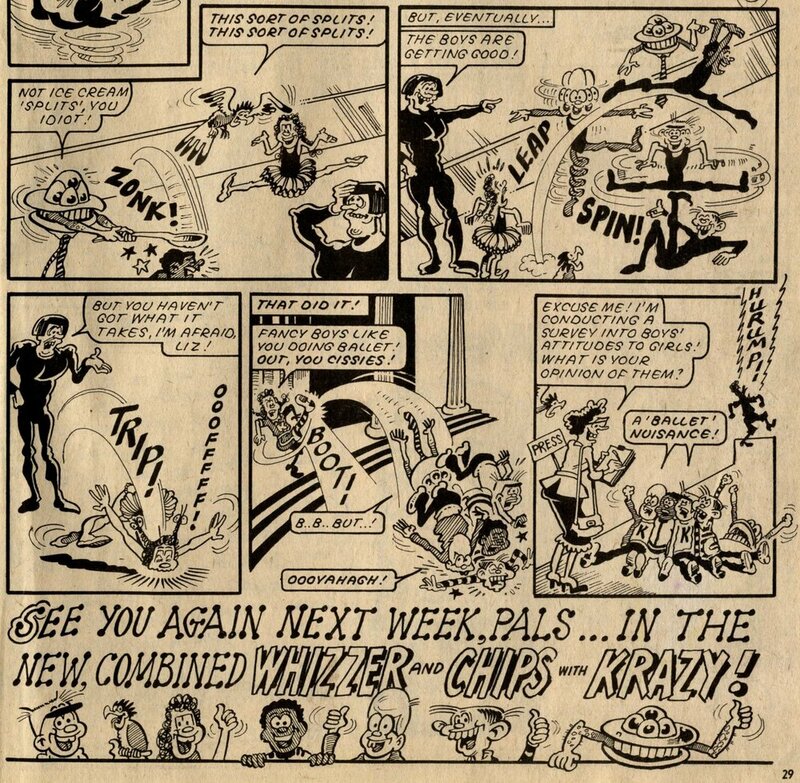 Several of the characters moving over from Krazy said their goodbyes in the final issue, including Micky Mimic (drawn here by Chad Sinclair) and The Krazy Gang (Bob Hill). 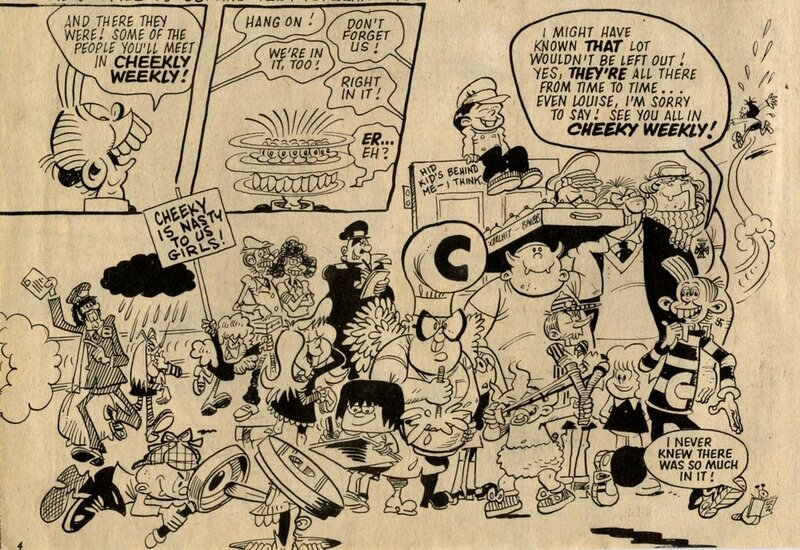 Krazy Gang member Cheeky (Frank McDiarmid) would lose his own strip in Krazy but since October 1977 he’s had his own actual comic, Cheeky Weekly, so he and his pals would continue there. 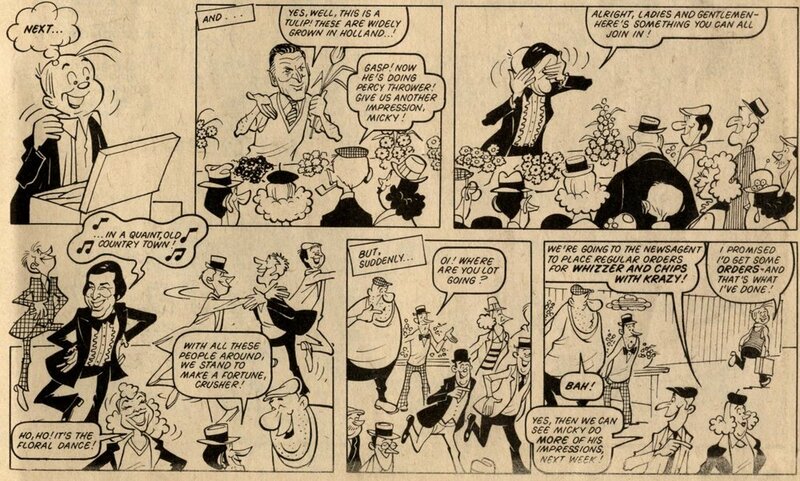 On This Day, Krazy, Whizzer and Chips, Cheeky, Micky Mimic, The Krazy Gang, 'Ello I'm Cheeky!